The Chan Centre for the Performing Arts at UBC welcomes Cuban musical ambassadors and charismatic artists Daymé Arocena and Roberto Fonseca Sunday, April 15, 2018 at 7pm in the Chan Shun Concert Hall. This double-bill evoking a hypnotic Havana night begins with the soaring young musical force Arocena. 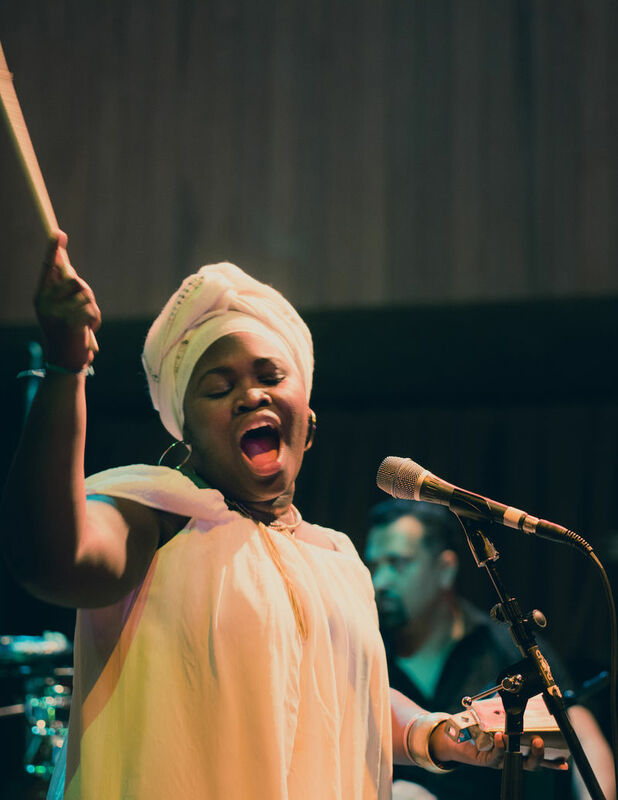 Since the launch of her sophomore album Cubafonia (2017), Arocena has won praise from critics enchanted by her original fusion of jazz, rumba and Cuban neo-soul. The evening’s second half will belong to the gifted playing of Fonseca, who famously replaced Buena Vista Social Club’s™ pianist Rubén González. Inspired by Cuban musical roots, from contradanza, to cha-cha-cha, he will thrill with works from his 2016 album, ABUC.